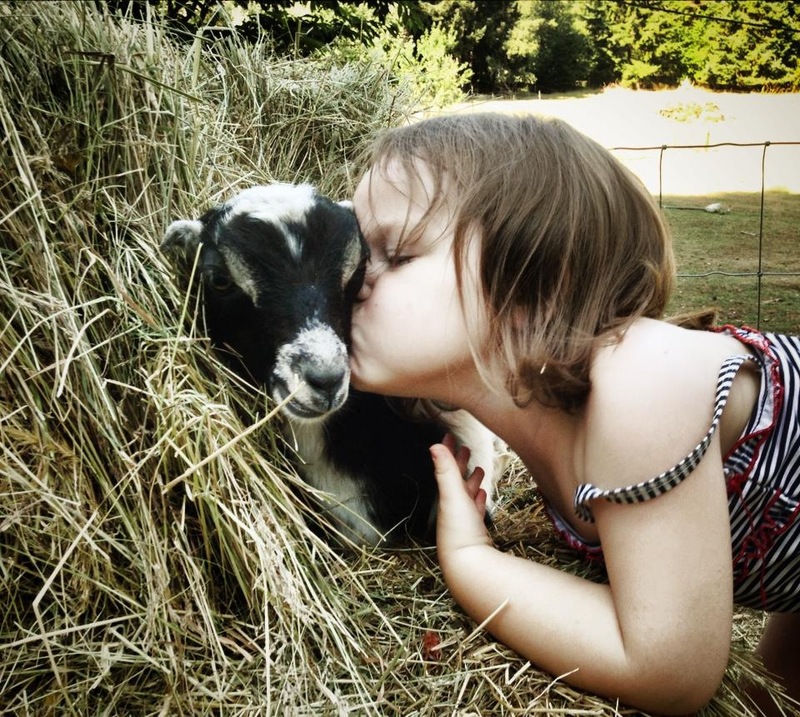 Everfree Farm – Goats, guts, and glory in the Pacific Northwest. Goats, guts, and glory in the Pacific Northwest. Clara is the only one in the family still short enough (and the only one still shorter than me) to get wet up to her middle from the tall grasses. Gavin checked in the brush along the riverbank for a suitable specimen. We still look pretty good together. Pressure cooker oatmeal from Tidbits, with modifications (I used honey, Not maple syrup). Since we heat almost exclusively with wood in the winter (our propane furnace is set to kick on only when the house gets below 55 degrees) we (and by that I mean our kids) make many trips to the woodpile each day. Wood is heavy, awkward, and messy, and for years we have used a standard laundry basket to haul it. The laundry basket usually lasts a season before it is broken and must be replaced. Last winter we switched to a shallow Rubbermaid tub, which so far seems a bit sturdier, but is still unwieldy. My dad has a leather firewood sling that seems to work well for him, although his firewood usage is primarily for ambiance. I thought I’d try to reproduce something similar to see if it could make the task of bringing in wood a bit easier. I used two old pairs of dungarees, one for the body of the sling and the other cut into strips for the straps. The tote opens flat for loading and unloading. Gavin and I took a short walk out to the pond and found a secret. Miles and BoGo are feeling good on the gorgeous spring day. Royal Palm turkeys. 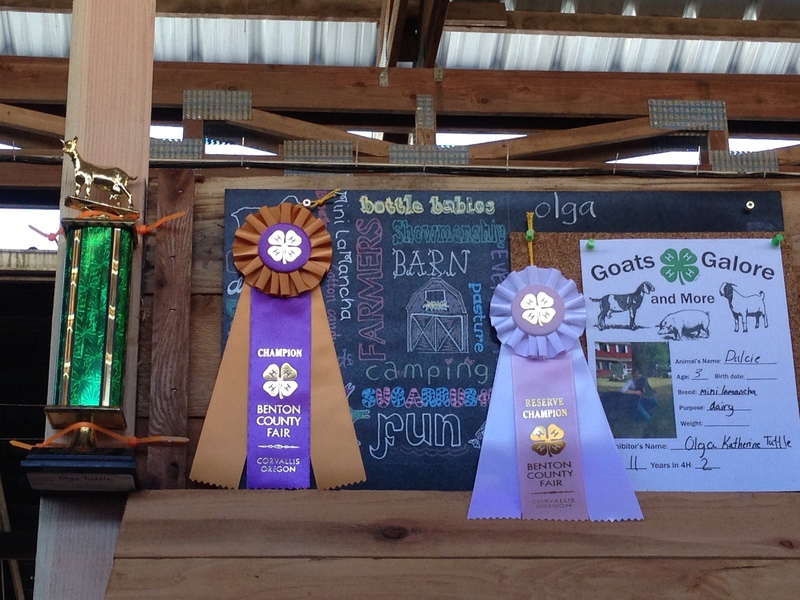 Olga and Dulcie’s ribbons and Reserve Champion Showman trophy. This week is our county fair. It is also over 100 degrees today, which does not bode well for the animals, either here at the farm or in the livestock sheds at the fairgrounds. Thankfully, both locations have plenty of water and people looking out for signs of distress. This morning I couldn’t convince our sow, Littles, to sleep under the shade structure, so I covered her with wet bath towels. She seems happier for it. 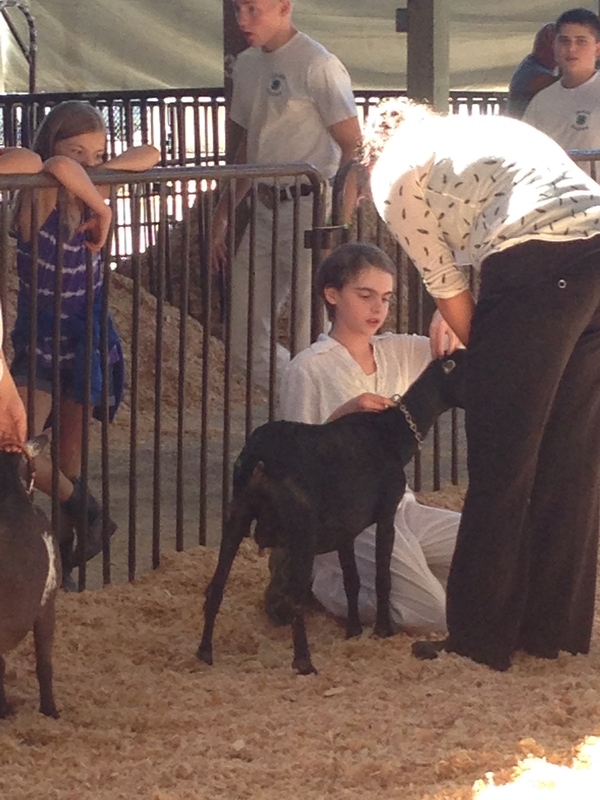 Olga answers the judges questions during the 4-H Junior Showmanship class at the 2015 Benton County Fair. Thank you for visiting! 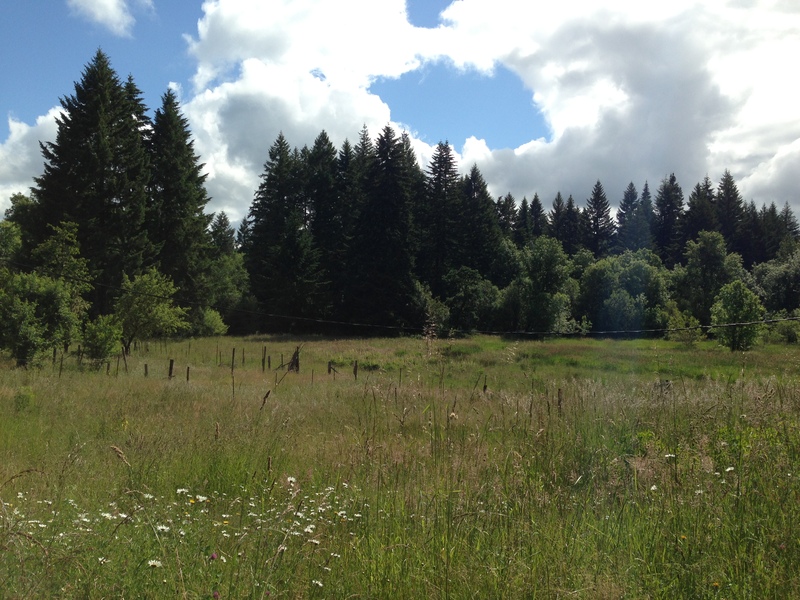 Everfree Farm is our home and homestead, located in the Coast Range of beautiful, bountiful Oregon. Clara kisses Rocky Road in a pile of hay. 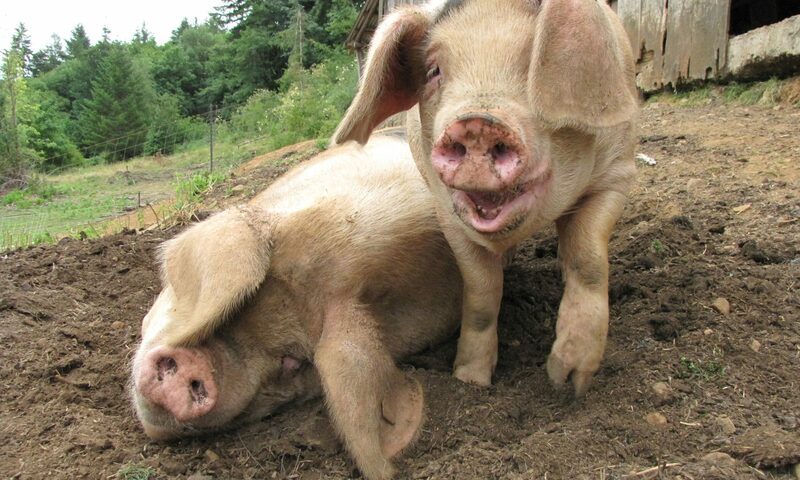 I’m thawing out one of our farm grown fresh hams so I can make this recipe on our upcoming wedding anniversary. With just a few seasonings rubbed on a day ahead, a slow-roasted fresh ham (that is, an uncured, unsmoked hind leg of a hog), becomes a juicy, fork-tender, and fragrant holiday centerpiece. After a year on the farm, I decided it was high time to our website up and running. Bear with me over the next few weeks as I develop (and repeatedly break) the site and blog. In the mean time, start poking around and don’t be afraid to bring my attention to broken links. You can email me at annie@everfreefarm.com. 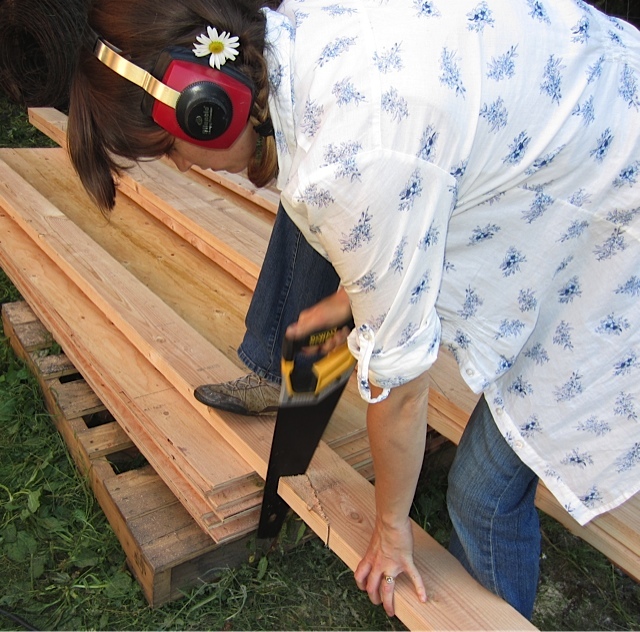 Annie cuts a notch in a rafter for the chicken coop.